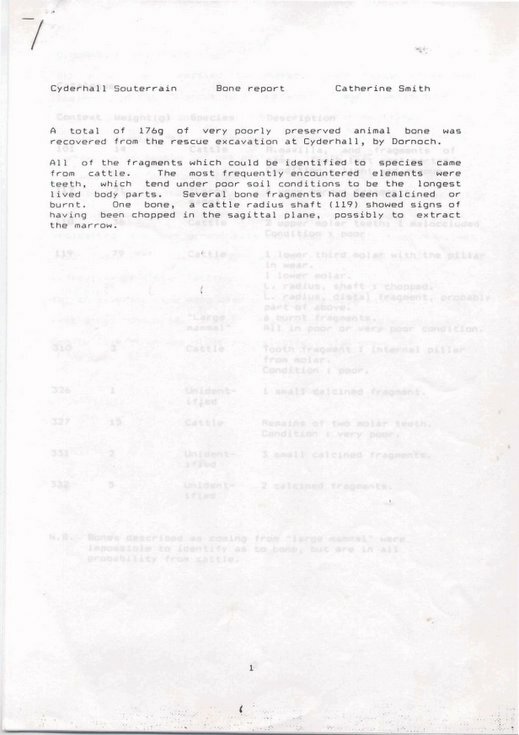 Analysis of the bone and charcoal found during the Cyderhall excavation in 1988. 4 sheets stapled. By Catherine Smith.